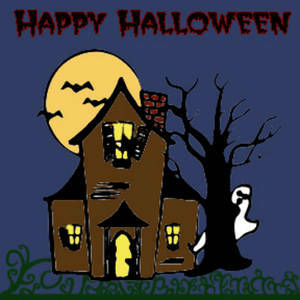 Description: This is a free haunted house clipart picture. This image shows an old house with a ghost, bats and a full moon. Happy Halloween is written at the top of the illustration.